The Georgia Senate Health and Human Services Committee voted unanimously yesterday to approve HB 551, the Kratom Consumer Protection Act, to clear the bill for a vote by the full Senate in the next few weeks. The AKA is deeply grateful to all the Kratom Warriors who testified at the Hearing, and who added their strong voices to protect and preserve consumer access to safe kratom products. 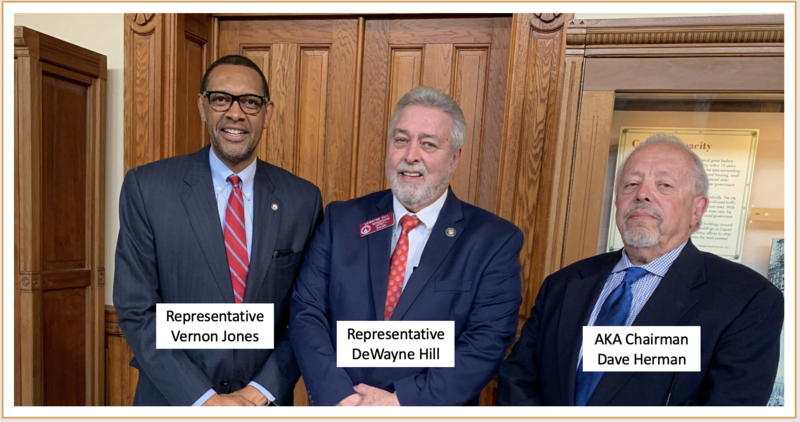 AKA Chairman Dave Herman personally thanked Rep. Hill, Rep. Jones, and Sen. Mullis (not pictured) for their superb support for kratom. "We are looking forward to Georgia joining Utah as the first two states in the Union to enact laws to protect access to kratom and to protect kratom consumers from dangerous adulterated kratom products." Thank you for your support and we will continue to keep you updated on this important fight.